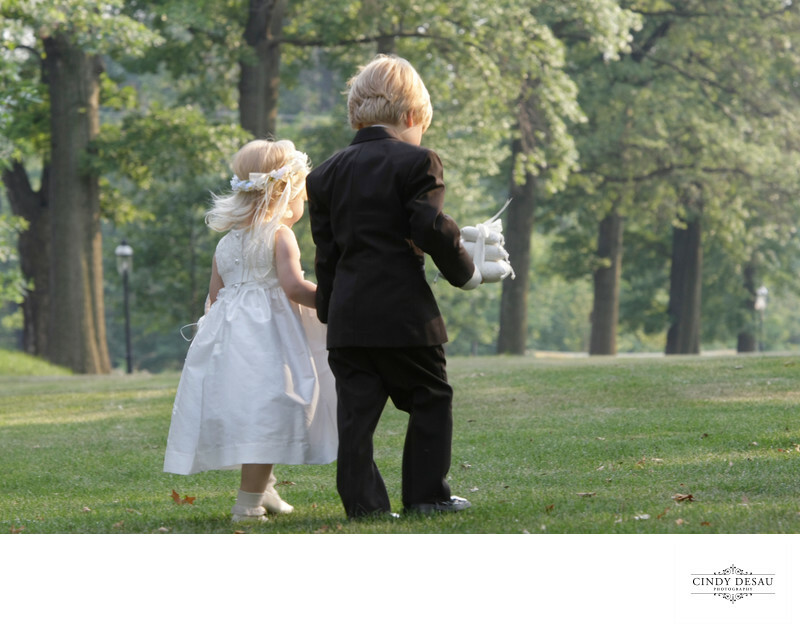 This is a candid moment of two cousins, flower girl and ring bearer, walking, hands clasped, carrying the wedding rings. I shot this with a long lens and large aperture to further isolate them from the background. This makes my subject stand out to the viewer. As a wedding photojournalist I’m always looking for wonderful natural moments such as this. Location: 1005 Horsham Road, North Wales, Pennsylvania 19454.